Mrs. Lackey is a southern transplant who hails originally from Ohio but grew up in the border town of El Paso, Texas. She earned her Bachelors of Science in Nursing through an ROTC Nursing scholarship at the University of Alabama (UA) at Tuscaloosa and graduated in 2001 with Honors. Upon graduation, she received her commissioning in the U.S. Air Force where she served in a variety of nursing roles ranging from medical-surgical, emergency room, primary care, deployed medical teams, and on health information technology projects. While in the Air Force she earned several major nurse corps awards for her contributions to the nursing profession and was inducted into Cambridge Who’s Who of Nursing Professionals. In 2017, Mrs. Lackey graduated as the Most Outstanding Family Nurse Practitioner from University of Alabama at Birmingham (UAB) School of Nursing for her clinical and leadership excellence. She was nominated by her faculty and then selected by a UAB graduation committee to give the Summer 2017 UAB Commencement speech. She is a Board Certified Family Nurse Practitioner and active in the American Association of Nurse Practitioners; belongs to several international professional honor societies to include Sigma Theta Tau and Phi Kappa Ph; and, regularly mentors nurses around the country. Without the love and support of her two children and her husband of 18 years, she would not be able to do what she loves; which, is to help improve individuals’ quality of life through an integrated team approach in healing the body. 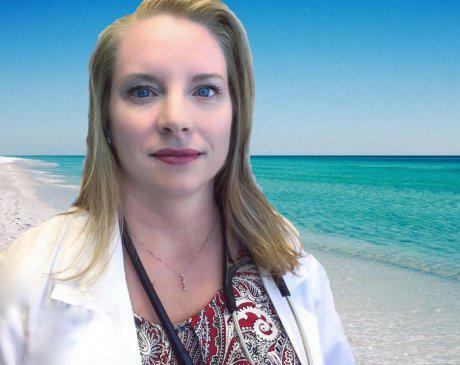 When she is not working or volunteering at the free clinic for underserved Okaloosa residents living in poverty, she enjoys swimming, hiking in the mountains, kayaking, spending quality time with family and friends, and lives vicariously through her nationally ranked skydiving brother.